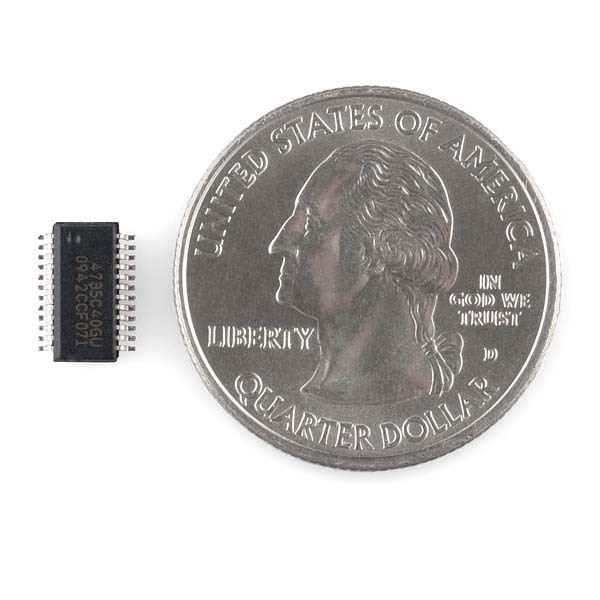 The Si473x-D60 digital CMOS AM/FM radio receiver IC integrates the complete tuner function from antenna input to digital audio output and includes a stereo audio AUXIN ADC input for converting analog audio into standard I2S digital audio, enabling a cost efficient digital audio platform for consumer electronic applications with high TDMA noise immunity, superior radio performance, and high fidelity audio power amplification. 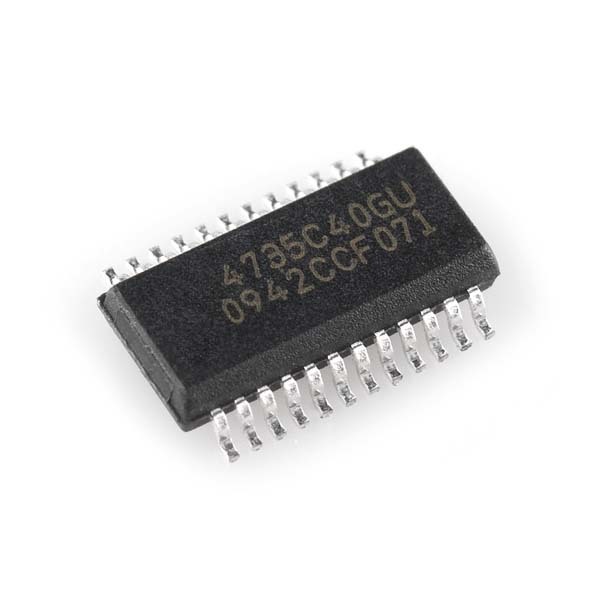 When enabling the analog inputs in stereo AUXIN ADC-mode, the Si473x-D60 supports I2S digital audio output only. Note: We are currently updating our images, they show the older version of the IC. "Note: We are currently updating our images, they show the older version of the IC." I can't wait to see what the new version of the IC looks like. Has anyone had any success with this chip? I am having trouble communicating with the chip. I modified the code for older Arduino shield with the previous chip but I can't seem to talk to the chip over i2c. My first attempt failed because the level converter from 5 v to 3.3 v did not support i2c. I replaced it with an i2c compatible level converter but still no luck. Any hints would be useful. Any updates on breakout board? Seeing that I can't rely on the image, do you carry the SSOP or the QFN package? Is a breakout board coming? Its been awhile. Is there any hope for the SI4736-39 series to allow adding Weather Radio to the above abilities? I'd go for the si4743 instead. It does everything the above chip does PLUS weather band as opposed to the SI4736 which drops the short and long wave support. Of course, if you don't care about those you don't have to use that functionality. I'd like the chip where we can have EVERYTHING!! Anyone who was looking at the C40 version of this chip (COM-10227), this is the newer revision from the manufacturer. It should be noted that while the C40 version supported SPI, this chip is I2C only. Are you planning on updating the Si4735 Breakout board with this new IC version? Any news about the upgraded SI4735 breakout board (which i'm looking for) ? still in the works. it's not exactly a drop-in replacement, so we have to redo some things. but we're working on it. Is there a way to stay informed of when the SI4735 updated breakout will be? I mean, other than the new product Friday videos? I'm stoked for this update. ugh, still in prototype phase... sorry! I'm also interested in this breakout board. Just letting you know that I'm also interested in several breakout boards for this. Cheers! I'm interested in a breakout board for this chip as well. Any progress? ETA? Thanks. no worries :) take your time and do it right. Will probably get myself in trouble but It is simple to make a breakout pcb. I will make everyone a deal, if I design the pcb, you have to fab it, I will supply the data. All I ask is that you send me a few pcbs. if people are interested, we can continue this discussion in another forum. BTW I design a tuner/media using this chip and the s/w to run a this chip is in the public domain. looks like it's low on the priority list, sorry. I'll ping the project and see if we can move it along. I have been playing a lot with old si4735 shield and find it surpricingly good at SW. In fact it can be tuned up to over 28 Mhz, to amateur 10 meter band and receive SSB with additional local oscillator (not saying it is good SSB receiver, but it works. Like I have received weather charts with it).
" itâs not exactly a drop-in replacement, so we have to redo some things." Other than the loss of SPI and the analogue audio input, what else changed? I'm racking my brain an re-reading the data sheets over and over trying to figure out why i cant talk to the D60. I was talking to the c40 via i2c, but now wire.endTransmission() returns "2" (nack addr). I am about to put the C40 back in and cut my losses. This is equivalent to setting property 0xFF00 to a value of 0x0000. It's a long shot but it might be worth trying. Good to know, thanks for the tip, I was wondering what that noise was. I got it working BTW, it was a mixture of problems. my signal to RST was below 70% of Vd (bad math on my part), so chip never came out of reset. And hence, no response to the power up command. Glad to help. By the way, what board did you solder this chip to? Or did you make your own custom board? I've been working on my own custom board. I'm using a TDA7719 for audio switching and processing, and a Raspberry Pi with a touchscreen for a GUI. I have a working prototype and some new boards are being turned right now that will hopefully be the final revision. I'm willing to share more details and my project files, as long as it is understood that I am not an engineer so my design is far from perfect and this project is far from complete. I'm currently stalled on this project because of funding (kids and home repairs taking priority) but my latest rev for the audio board was successful. here is a photo of the board: http://assets-cloud.enjin.com/users/9995617/pics/original/2830119.jpg I have moved from the raspberry pi to an Olimex A20 which handles audio much better, has a more forgiving power input and supports a SATA HDD. I'm saviing for a touchscreen and should be able to pick up the project again soon. You should share them. It would be fun to take a looksy at what you did. Thanks! Is that necessary? 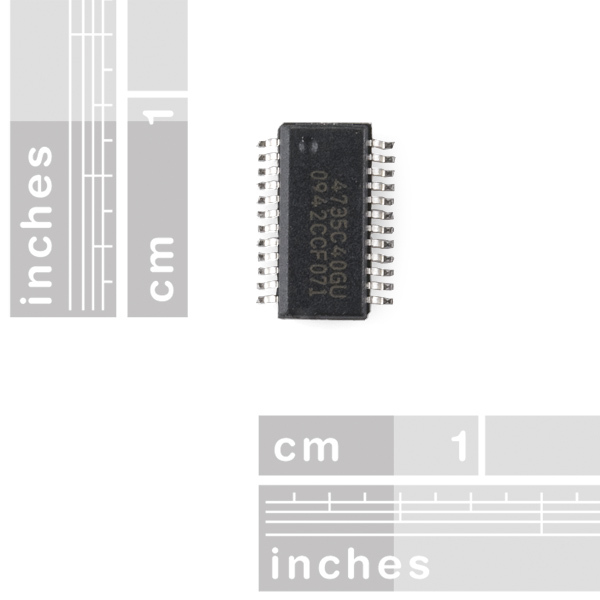 A quick scan of the pinouts from the two datasheets showed that the pinouts are identical. Can I go ahead and use the old boards, or is there something I missed? Never mind, I just realized that the board came with the chip already on it. I suppose you could unsolder the original chip and replace it with the new version, but that seems like a lot of hassle.